Karen Lovely’s latest release, Fish Outta Water, again showcases the vocalist blowing down the doors with her immense singing strength. This disc is modern blues played correctly as Lovely blends various approaches to Americana music approaches with craftily-honed lyrics and top tier musicians. 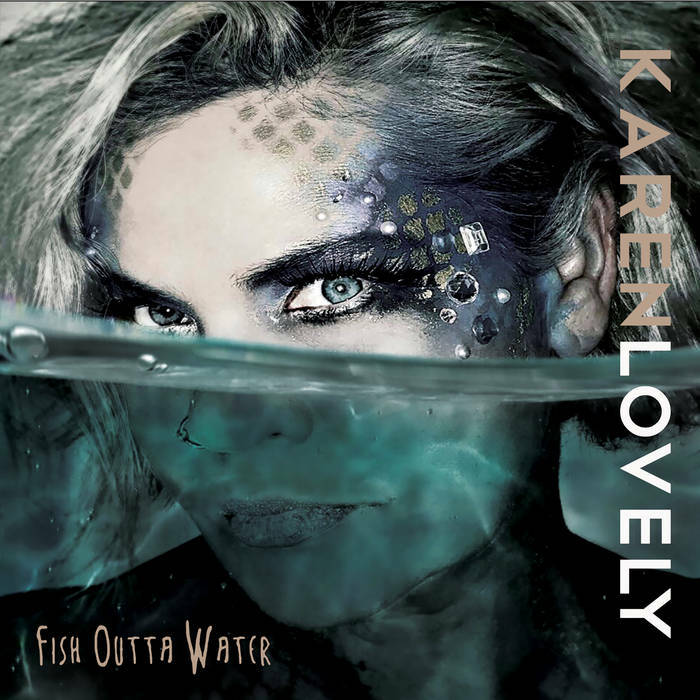 As with Karen’s previous recordings, Fish Outta Water fearlessly addresses social issues, from domestic violence to sexual assault, from homelessness to today’s political landscape, and of course there are the timeless blues themes of heartbreak and redemption included as well. Recorded in Los Angeles, Lovely brought together a cast of musicians that delivered the goods and then some. On guitars she offers Rick Holmstrom (Mavis Staples, Rod Piazza & The Mighty Flyers), Doug Pettibone (Lucinda Williams), Eric Corne who also produced and plays harmonica on the album and Portland’s own Ben Rice. Taras Prodaniuk (Steve Earle) on bass and Matt Tecu (Janiva Magness) hold down the rhythm section. Song writing finds producer Eric Corne handling nine of the dozen tracks and Mark Bowden on two, with Karen supplying her own hand with them on four and composing solely on “Hades Bride (There Was A Time).” All of the pieces come across in Karen Lovely fashion with the messages she wishes to convey and the atmosphere they individually offer. But it is not missed the issues that she brings to light on these numbers. “Hades Bride (There Was A Time)” deals with the starkness behind domestic violence and sexual assault that is all too common in this world. “Waking Up The Dead” reflects on the crooked politician trying to sell us his scams. Even the light-hearted “Punk Rock Johnny Cash” tells the story of a musician trying to make ends meet in his life by playing his music on the street for loose change. Fish Outta Water is another stunning release from Karen Lovely. She continues to prove that her vision of modern music is indeed contemporary and thought provoking. Not afraid to look at the harsh realities of life, Karen Lovely has out-done herself once again.